Although the iPod Touch is currently lacking in GPS functionality,tthere are several different types of apps which can help you while running. Here we take a look at the top five iPod running apps that will help you to record your runs, work as a motivational aid, and even do both. Also included are options that will help beginners used to a life of sofa dwelling to get up and go. 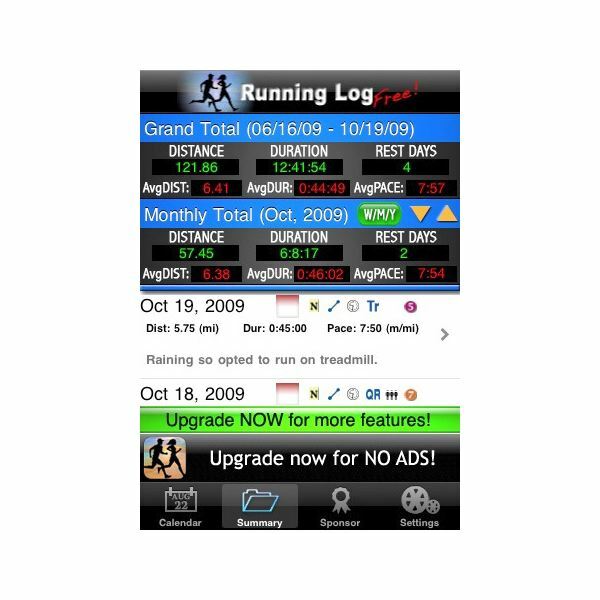 As you'd expect from the name, Running Log is the perfect app for logging all your running stats. You can see at a glance what you've achieved that day, or even over the past month. In fact, the month view is a really interesting one. You get to see your cumulative stats, exactly what distance you covered, your average speed over the month, and more. A quick tap will give you similar stats for the week, as well. You can also add information that is absent in other running apps, such as what type of run you went on (cross-country, race, interval, and so on), and effort level (you be the judge, or let the treadmill tell you). You can even record rest days. A particularly nice touch is that you can give different runs different names, so it can be really unique to you without having to include erroneous data about where you went. Little icons on the running log also help you see at a glance if there is any pattern to your workouts, or if you seem to run better on particular days, or on particular runs. This is a nice touch. The free version has those ads, which do get annoying. That, however, would seem to be the only benefit of upgrading to the paid-for version. 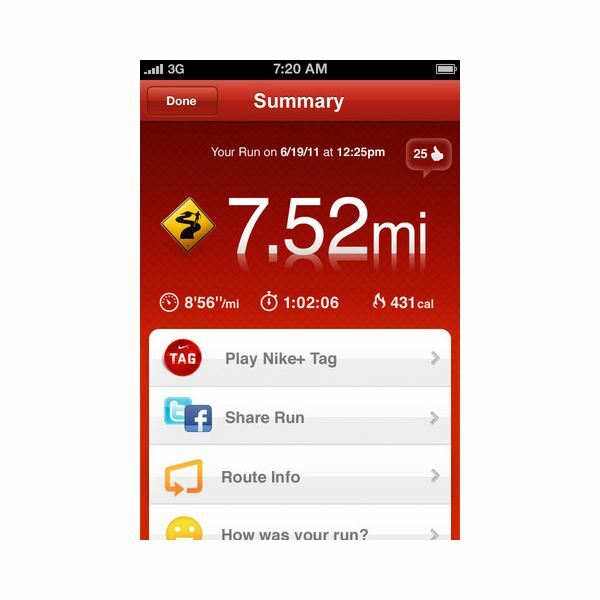 Most of the running apps you'll see are very refined, polished, and are aimed at experienced runners. Fear not though, beginner runners! 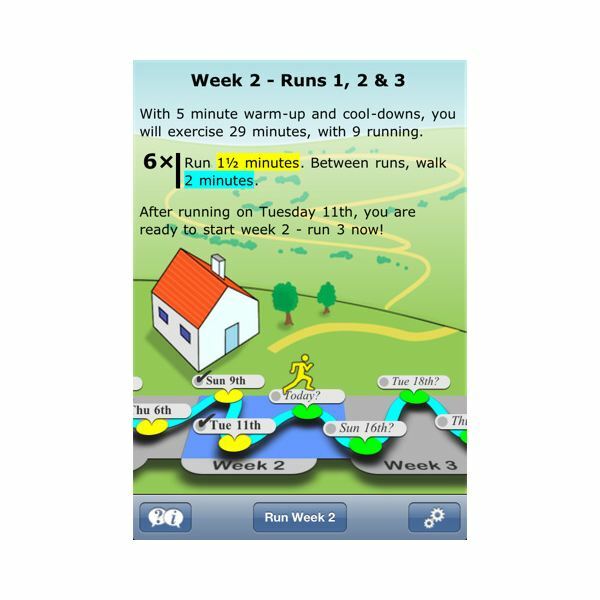 The Get Running app is ideal for you. If you've spent longer being a couch potato than getting fit, this app really is right up your running street. It helps to get you up and running by setting realistic goals to get you back in the healthy zone. The program is designed as an interval training program that really does work if you stick to it. You get different tasks to achieve each day, and you can see what progress you are making. I also like it as it has quite a different cheery feel to it, unlike other apps. While the voice coach you get as you train is pretty encouraging, I have to admit that it can be occasionally annoying – but perhaps that's just me. A nice part of this, is that you can still use your iPod for its intended purpose — listening to music. The music will dip in volume when the coach is speaking. Really top notch considering it's only $2.99, but is definitely not one for experienced runners. 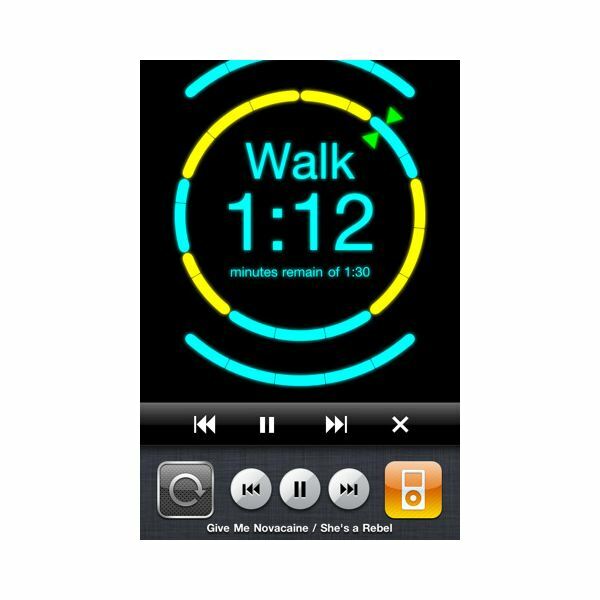 Runmeter app is one of the most highly regarded running apps you can find, but I should point out that the iPod Touch being without GPS functionality does have its drawbacks when it comes to apps of this type. However, I still think that there's enough here for the $4.99 to keep enthusiastic iPod runners happy. There are options here that you think would be standard issue in any running app, but that aren't included in other apps. We are talking features like stopwatch, split times, current interval and previous interval – all things that professionals take for granted. There's the added ability to include heart rate data, and to add odometer-gathered info to Facebook and Twitter. Of course, there is the standard fare of recording how far you've run, etc. 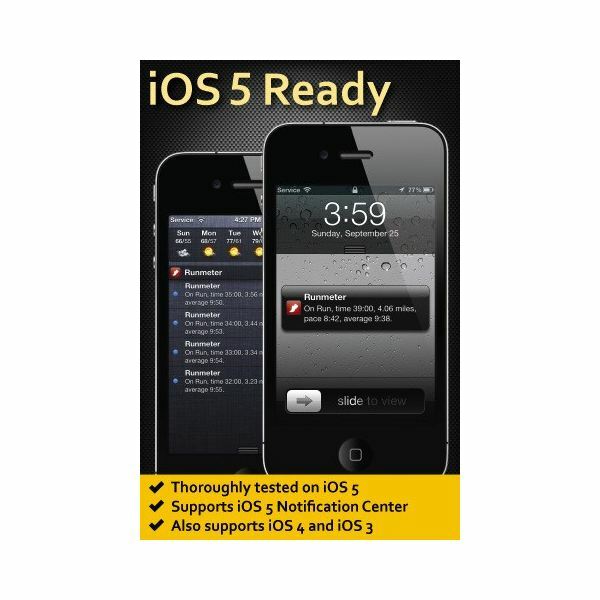 I should also point out that this app is updated to incorporate iOS5 so you can add plenty of data to areas like notifications, to keep you on your running toes. It's simply great at what it does – basically tracking, monitoring and evaluating whatever you choose to keep track of, and letting you see how well you are doing in your running life. As mentioned above, not having GPS capabilities is a bit of a minus when it comes to running apps on the iPod, but there are always ways around these problems. 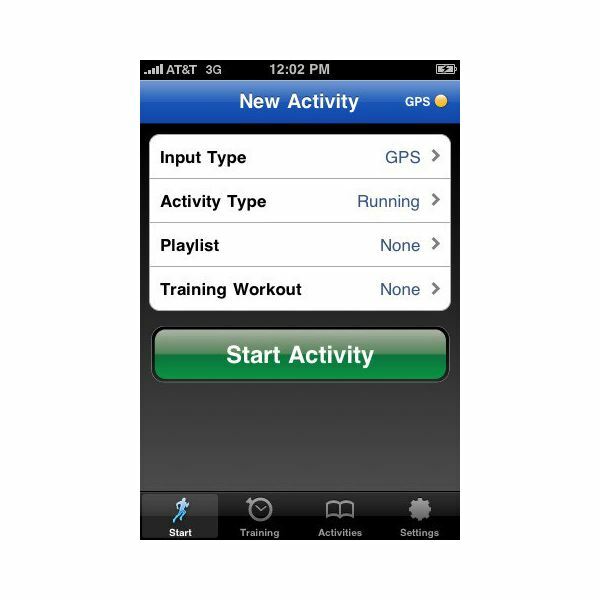 RunKeeper offers the function to either update your running information automatically (when using an iPhone), or manually if you are using an iPod. You can then sync all of your vital running stats to the RunKeeper website to view a history of your activities, and to keep track of your accomplishments. With a name like Nike attached to a running app, we should rightly expect a quality product. Fortunately the Nike+ GPS app completely delivers what you would expect, and then some. The basic idea is that you can record how far/fast you're running, and keep them all recorded for future reference when you try to break your own personal best. If you do really well, you can ever share your progress with friends and fans on Facebook and Twitter. My favorite part about this app though, and one that really sets it apart, is the motivational angle. When running, motivation is really what you need so you can keep going – not easy when running on a dreary day. The Cheer Me On and Powersongs features within the app really do deliver on this motivational promise. Basically, Cheer Me On is a way to get a proper cheer as you are running, and your friends join in on liking your running status on Facebook, etc. This isn't as good on the iPod as it is with an iPhone, as it doesn't update as you are running around. Adding your own Powersongs to keep you going makes full use of the iPod's primary function to really keep those feet pumping. You also get motivational messages built-in from famous athletes, which is a nice touch. Of course the downside with this Nike Plus app, as with others that have added GPS functionality, is that the iPod Touch doesn't yet have that capability – but it's still worth the small $1.99 fee. There are many iPod running apps that you can buy in the App Store, but this selection of the very best should cover most angles of running that you're interested in. Have we left out a superb app that you just wouldn't go running without? If so, please let us know by leaving a comment below. All screenshots courtesy of respective app developers.